Congratulations on your new, or soon to be here, baby! What is a Certified Newborn Care Specialist & Postpartum Doula you may be wondering? I am a trained and certified Newborn Care Specialist & Postpartum Doula, this simply means that I am skilled to care for your newborn baby and the new mommy. I provide support to your family for the first few months. I have newborn care knowledge and will help you learn what you need to know to make the transition a bit less overwhelming. Whether you are a first-time mother or the fifth time mother anticipating the arrival of a baby is amazing. One way to aid in your planning and preparation for your new little one is to engage a Newborn Care Specialist or a Postpartum Doula to help you recover just after childbirth. The early weeks after coming home is often referred to as the fourth trimester, which can be busy and sometimes stressful. Typically, I will come into your home for a few weeks to a several months to help you get much needed rest that will allow you to recover after childbirth and enjoy your new baby. 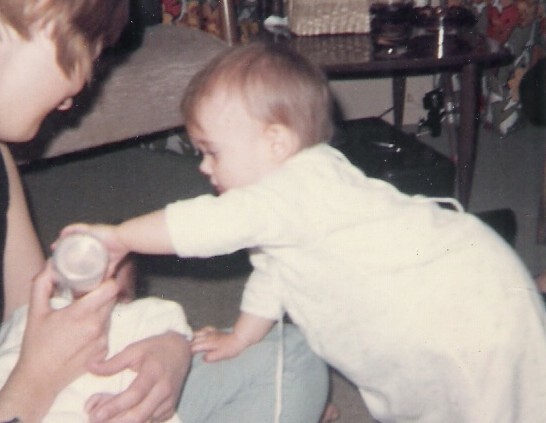 As a Newborn Care Specialist I will provide assistance in many areas, the most common is generally called a night nanny, or newborn nurse* or a night nurse*. This is to provide care when the baby wakes at night by changing his diaper and feeding or bringing him to mom to nurse. After the feeding I will burp and hold him upright to aid in proper digestion and settle him down for sleep again. I will keep a log during the night, I prefer to use an app called baby connect. Formula and breastfeeding, I will help you learn to feed the baby (positioning, etc. ), including current practices in feeding. Extensive experience in infant care, colic, equipment care, sleep, bathing, skin care and infant massage and can help you recover after childbirth. Certified in infant CPR, knowledge of communicable diseases, SIDS and Shaken Baby Syndrome, signs and symptoms of illness, well-baby doctor visits, immunizations and equipment safety, e.g., how to make sure that car seat is correctly installed in your car. Assist with normal postpartum care and illness; C-section recovery and illness; what to expect as you are recovering; sleep deprivation, episiotomy; role of sleep, rest, hydration and healthy nutrition. Provide nighttime feedings including getting up to help the mother if she is breastfeeding; just hand the baby back to me after feeding and I will burp, change diapers and settle him back down to sleep. Create a nurturing, stimulating environment for baby during his waking hours. Help with sibling adjustment, roles and integrating the newborn into the family structure. Set up a daily routine that helps everyone in the home feel more secure allowing the entire family to get the rest you all need. I am flexible with the help you require, I can do 24 hours a day or 8-12 hours a day/night. Maybe you have had wonderful NCS care but she has to leave, or you haven’t found a nanny or child care for your family. I am happy to fill in until you find that perfect child care provider. Learn more about me as a Temporary/ Vacation Nanny. *This field has been traditionally referred to as a “baby nurse” or “newborn nurse” Newborn Care Specialist and a Postpartum Doula are not a Registered Nurse. My first newborn, I am the one right.